All photographs displayed on this site are available for purchase. All prints are signed, numbered and limited editions. On each gallery page there is a link "click here to purchase photos in this gallery." You can also contact me by email (click on "contact me"). Prints are archival and should last 75-100 years. Larger sizes are also available - please contact me. Photographs look best framed. Images can also be printed and stretched on canvas to give a true painting-like feel to the photographs. 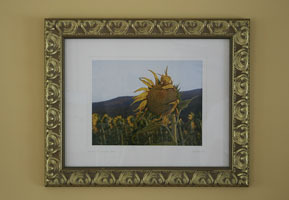 Please contact me to discuss matting and framing options and canvas prints.